Announcing a change in company policy can be a big move, but is often necessary in order to increase production and profitability. For your employees, it might mean a change in work routines, and for some customers it could mean higher prices or reduced supplies. With this in mind, you should think out all possible repercussions as part of the decision-making process, and consider a well worded announcement letter to your existing customer base. Whatever decision your company makes regarding a change in policy, it is vital that all your business communications be clear and correct. Your company image depends on it, so it is worth putting some extra effort into your English grammar and writing style. WhiteSmoke is the perfect tool for giving your policy announcement that finishing touch. 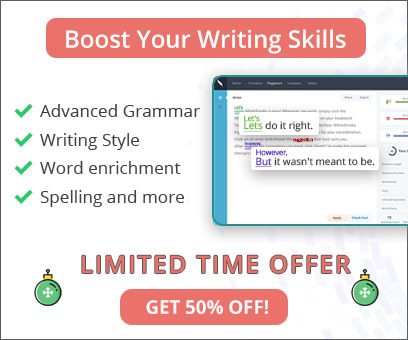 As an all-in-one solution, WhiteSmoke features a grammar checker, a spell checker, a thesaurus and dictionary combined with special enrichment features to make your business and marketing communications stand out. We are canceling our current range of emported ceramic kitchenwre and replace it with a new range produced here in the USA. The new range costs a round 20% more , than, our current stocks but it better. We like your business and want it to continue, so please, continue to buy the new range. Because of recent changes to import and export laws, we have decided to cancel our current range of imported ceramic kitchenware and replace it with a new range produced here in the USA. The new range costs around 20% more than our current stocks, but supplies will be more regular. You will continue to receive the same quality Brown Brothers merchandise, and we will still keep our commitment to free next-day delivery. We appreciate your business and look forward to continuing to serve you. If you have any questions about the new change in policy, please contact our customer support center. By giving the customer details about the change, and respecting his/her business, you are halfway to a good letter. 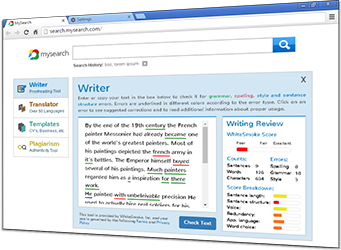 WhiteSmoke completes the task by fixing grammar and enriching the text.